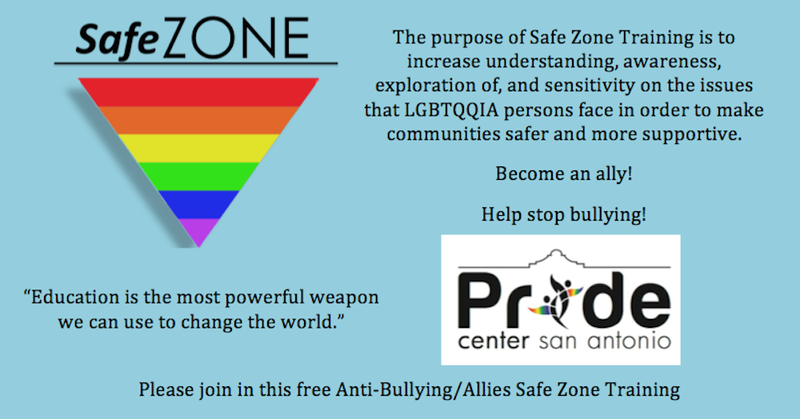 Pride Center San Antonio, which has promoted the lesbian, gay, bisexual, transgender, queer, questioning, and intersex community in San Antonio since 2011, is holding an anti-bullying LGBTQQI allies Safe Zone training class this Saturday at the Westfall Branch Public Library. The training classes, which are to be offered on an ongoing basis as part of Pride Center’s community programming, are designed to bring attention to and offer solutions for the discrimination and bullying LGBTQQIA people face in their daily lives. 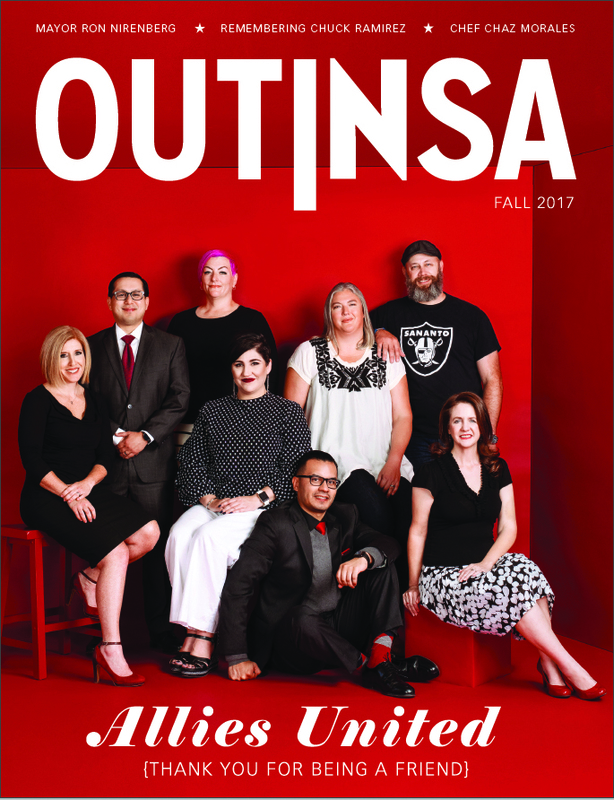 In 2012, Trinity University professor Dr. Amy Stone conducted a survey for Pride Center to gauge the needs of the LGBTQQIA community in San Antonio. She found that about 63 percent of LGBTQ people had experienced harassment or discrimination. Dr. Stone and her students also found that this discrimination arises from strangers in public spaces, peers at school, and family members. 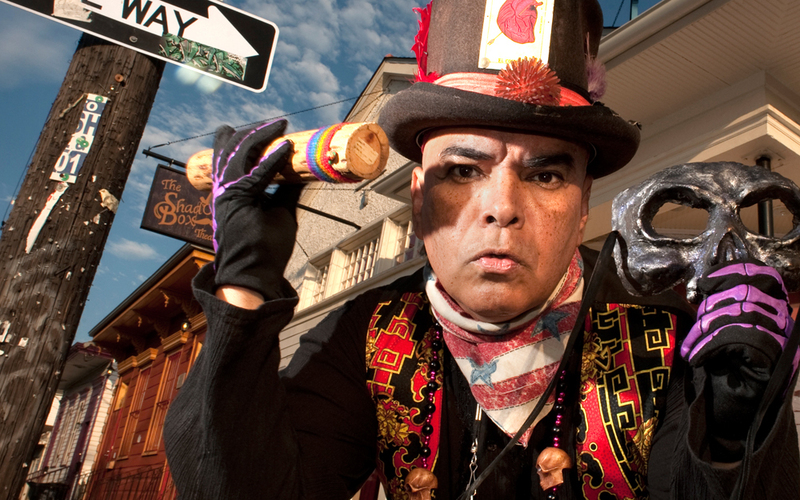 Pride Center is conducting Safe Zone training workshops to combat the overly common harassment and discrimination and create a safe space out of San Antonio. “Safe Zone Training is a great opportunity for allies and those individuals wanting to gain a greater understanding of LGBTQQIA persons, as well as an increased awareness of issues that they face. Through education we believe this creates safer and more supportive spaces in the community,“ said Pride Center Board Chair, Robert Salcido in his statement on the event. Exposing people to the unfair treatment experienced by LGBTQQIA people is certainly a step in the right direction towards decreasing LGBTQQIA bullying and discrimination. Making effective allies out of these people is the next step. Join Pride Center this weekend to help make San Antonio a better place for all of its community members. The event is open to the public, but there is a limited amount of seating. Tickets are free and can be purchased online.